What can I send to China? What items are restricted? Personal Effects limit to mainland China is $125. If your shipment exceeds the limits stated above it cannot be cleared as Personal Effects and may result in additional charges. Duffles, holdalls, rucksacks and similar bags cannot currently be sent on this route, at present only suitcases and boxes can be accepted. Due to its vast size and sheer number of attractions, travellers to China tend to take extended trips, and, in turn, take more luggage. Backpacking is also a popular choice and airlines know this, usually charging huge fees for excess baggage. Send My Bag can save you money and take the hassle out of your journey by collecting your heavy and bulky baggage and delivering it to your destination quickly and securely. Our carrier service is also great for students who are relocating to China to study or for Chinese students who are heading to a foreign country for learning opportunities. Having possessions from home makes adjusting to life abroad much easier and helps students focus on their studies. Baggage is delivered to your chosen destination when you need it so that you can enjoy your stay straight away, without having to worry about carting your luggage around various airports and having to wait at the baggage carousel. You can use Send My Bag to send your luggage and boxes to China. This is particularly handy if you are relocating to China or returning home there and you need to get all your possessions to China too. You can save yourself a lot of hassle by sending your possessions with Send My Bag and so avoid waiting at bag drop or luggage carousels and avoid having to drag your items behind you onto public transport. To learn more about sending luggage to China, take a look at our ‘How it works’ page, or our ‘FAQs’. China is home to the world’s biggest golf club – Mission Hills. Shanqin Bay and Stone Forest join Mission Hills as the best golf clubs in the country. If you would like to try out China’s golf courses, you can do so using your own clubs by sending them to China with Send My Bag. It’s easy to send golf clubs to China, just make sure you package them up correctly and book a collection with Send My Bag online. Your clubs will be delivered to your destination for you, and taken home again, should you so desire. This will make your journey to China much easier, since you won’t have to drag large golf bags behind you. Make sure you find out how best to parcel up your golf clubs by visiting Send My Bag's information page on sending golf clubs. Although you may not think it, China is a great ski destination. China boasts numerous ski resorts, such as Alshan, Yabuli and Nanshan. If you send your own skis with Send My Bag you won’t need to use rented skis when you are there, and you can avoid the embarrassment of having to pay your airline oversized baggage fees. It is easy to send your skis, just make sure they are packaged up correctly and visit Send My Bag to find out how to send your skis to China. If you are moving to China permanently, or for a few years of work placements, you will have to investigate international removals to China in order to move all of your possessions. Before you have the movers pick up your items, ensure that everything is carefully packaged so it won’t get damaged in transit. Use suitable packaging for your items and tape everything up well. If relocating to China for your studies you will have plenty that you would like to take with you. Aside from everyday essentials, like clothes and shoes, you will also need to bring textbooks and other reading material for your course. Top Chinese universities include Tsinghua University, Peking University and Fudan University. To find out more about student shipping to Argentina visit our student shipping page and get your 10% student discount. Instead of a suitcase or bag, you can easily send a parcel to China with Send My Bag. Friends and family can use this option to send you care packages or gifts throughout the year. Or if you have left something behind at home, they can send it on to you in China as a parcel. Send My Bag can send parcels internationally to China for you. Read our information page on how to package your parcel using a suitable, sturdy box so nothing gets damaged in transit. Also familiarise yourself with the rules relating to personal effects and brand new items (see below). Air freight is one option for sending large items like tables and chairs to China. It usually takes around one to two days to transport your items this way, making it a quick, but at times expensive, option. The amount you pay depends on your shipment’s weight and its size. You will probably also have to hire a customs agent to deal with customs clearance for you. And, you need to get your items to and from the airport. Costs could, therefore, quickly spiral. If you send internationally by air freight to China your items will likely arrive at one of the major airports, such as Beijing, Shanghai or Guangzhou Airports. Instead of air freight you could choose sea freight or container shipping to transport your possessions to China. If you don’t need your items straightaway, this could be the solution for you, especially if you need to send something like a sofa or armchair. This option can be cheaper than air freight, but you will still need to hire a customs agent and will need to get your items to and from the ports. So, the cost could be more than expected. Your items will most likely arrive at one of the big sea ports in China, such as Xingang, Qingdao or Xiamen. The Personal Effects limit to mainland China is $125. If your shipment exceeds this value it cannot be cleared as Personal Effects. Personal Effects can only be imported within 6 months of the owner’s arrival (from date on passport stamp). The value you declare for customs when placing your order must match the value of your packing list. All Personal Effects will incur a 24-48hr delay. There is no Personal Effects allowance. Chinese customs may or may not require the payment of duties and taxes. When a bag is stopped by customs for any reason (missing documentation, prohibited contents, commercial contents or further information required) Send My Bag™ records how long customs hold it for. Our historical statistics for this route indicate that if the customs authority stops your bag they will on average take 12 days to process it and release it back to us for delivery. 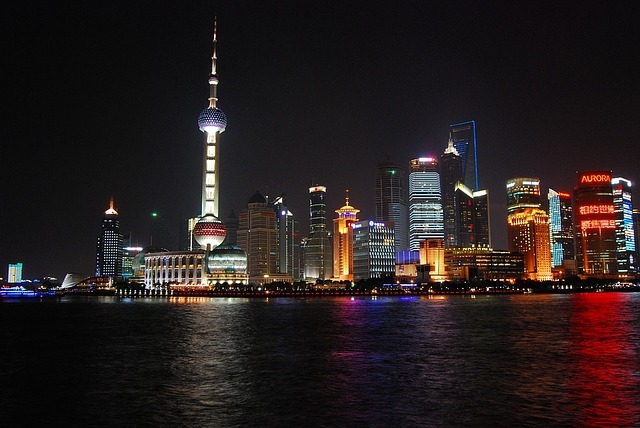 China has many large cities that are popular with tourists. These include the capital Beijing, Hangzhou - famous for its silk industry - and Shanghai, known for its river cityscape and great shopping. Other places to explore include the Great Wall of China, the Jiuzhaigou Nature Reserve and Mount Tai, all offering great photo opportunities for travellers. China’s official language is Standard Mandarin, which has been the only language used in education since the 1950’s, although many regions also have their own dialects. English is taught in schools, but outside of the major tourist attractions and establishments you may find it hard to find locals that are conversant in English. China’s attractions are seemingly endless and you’ll never run out of things to see and do however long your stay. Due to China’s long history there is plenty for the history buff to do. China has the third highest number of UNESCO World Heritage Sites in the world behind Italy and Spain, including imperial palaces of the Ming and Qing dynasties, the Leshan Giant Buddha and the ancient city of Ping Yao. The country offers a wonderful mix of quaint rural and conservative with eye-opening, modern and mesmerising urban areas. It’s a fantastic place to get your hands on some wonderful new technologies, as well as great souvenirs. Most travellers to China will require a visa to visit the country; these are available from your local Chinese embassy or consulate before departure.